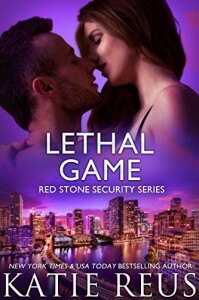 As Ms. Reus said, this is the end of her Red Stone Security series. I am sad to let this go, namely because I read the series in one week from book one till book 13. If I was not permitted to read the 13th book of the series, i would have liked, read this yet. However, I am quite proud of myself. I really enjoyed it. The characters are very much alive in each of the books. And that made it one of the best series I have read. In this book, we are presented with Isa and Graysen’s story. Both of them were hurt by the action from their past, until they are once again brought together. I admire Graysen. I though he was another a*** but, from the his thoughts were presented, I am surprise that he was still alive and he wanted to have a second chance with Isa. It was an underhand, way to be with her, but it worked. The twist? that was something else too! I love this book and I am truly sad for it to end.